Grey Matter Art continues its popular line of officially licensed Marvel prints with this fun Guardians of the Galaxy Vol. 2 fine art print by Andy Fairhurst. This is the first print GMA has released for GotG Vol. 2, and The Blot really likes Fairhurst’s unique take on the film. Guardians of the Galaxy Vol. 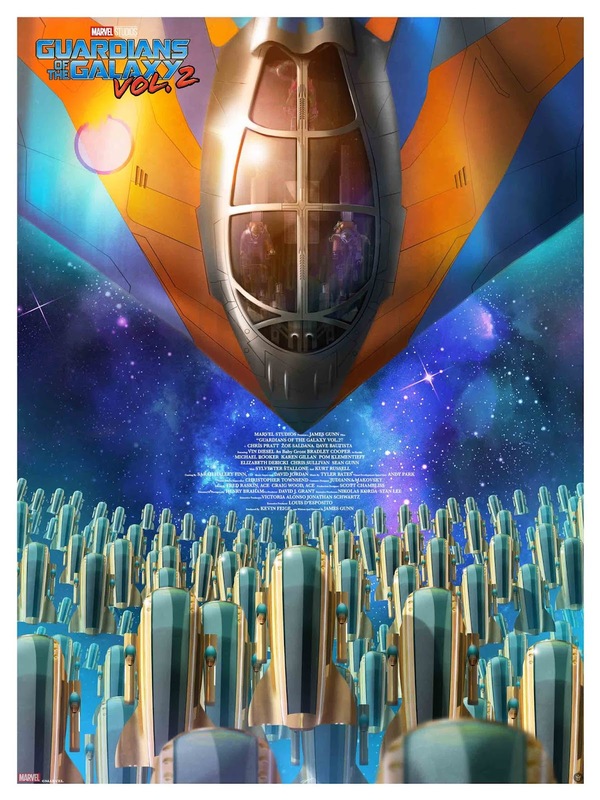 2 by Andy Fairhurst is an 18”x24” hand numbered giclee print. Limited to 150 pieces, this Marvel print will go on sale at 1pm EST this Thursday, December 6th, at the Grey Matter Art online store for just $40.